We sell, install and maintain refurbished photocopiers after a full and in depth reconditioning process has been completed by our experienced team of in-house engineers. All our refurbished photocopiers are supplied with our 5 year platinum warranty to give you full peace of mind that even when purchasing a reconditioned printer and copier you will have no issues with your machine. If you do you can take advantage of our warranty. How quick could I get a refurbished copier delivered? We have a warehouse full of machines which have already been reconditioned and covered by our Platinum warranty. This includes Olivetti machines, Konica Minolta machines and a number of other brands. These could all be delivered as early as the next day should you be in desperate need of a photocopier. Environmental impact: We no longer need to throw the machines into the landfill sites. By re-using the machines we can reduce our overall environmental impact. 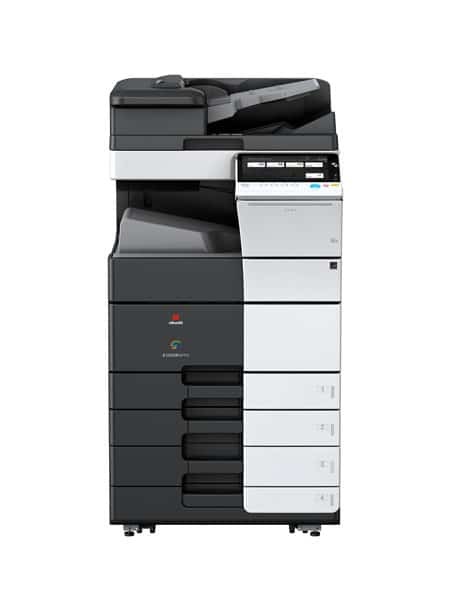 Efficiency: Our used photocopiers can be purchased using a managed print services, much the same as a new photocopier. The difference being that your monthly business outgoings will be much less than a new machine but you will still get everything including our 5 star service, consumables etc. Will I be buying old technology? No, we only supply machines that are still very much modern technology. We make sure that any refurbished photocopier you purchase from us meets your requirements as a business. If we didn’t you wouldn’t recommend us or become long standing customers, and this is who we’re looking for. With a refurbished office printer from Copy Print Services you can be rest assured that you will be purchasing a highly reliable, high quality well priced machined that can provide all the benefits you need to keep moving your business forward.